Houston Fire Chief Retires | F.F.A.M. City of Houston Fire Chief Don Rust has announced his retirement effective May 1, 2014. Don has served as fire chief for the City of Houston for the past 31 years. On January 3, 1976 Don Rust stopped by Houston City Hall to follow up on a job he had just completed for the city. Before leaving the building he was approached by city clerk, Joyce Campbell. She asked Don if he would be interested in becoming a fireman. He stated, “I guess I could do that”. Joyce said, “Fine, I will put on the roster”. On that eventful day little did Don Rust realize the impact that statement would have on the next 38 years. In 1982 Don was serving as assistant chief of Houston’s City Fire Department. 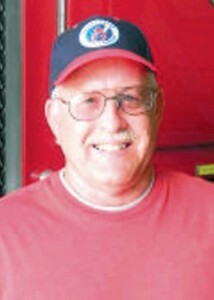 Rural Fire Chief Warren Gobble, who had led that department since its beginning, retired, and Rust took over the reins. Then when city Chief Bob Dunn stepped down in 1983 Don was appointed to that post by the mayor. Serving as both city and rural chiefs, running his excavating business, and family responsibilities were overwhelming. In 1984 Don resigned as rural chief in order to devote more time to the city. Rust established an agenda to improve training, upgrade and replace antiquated equipment, and to obtain better compensation for the volunteers. In the early eighties calls were divided into two categories-dry runs and wet runs. If water was sprayed on a fire it was considered a wet run and fireman received five dollars for the call. Dry runs paid two dollars and fifty cents. Today a daytime call pays thirty-five dollars and all others twenty-five dollars. All did not run smoothly. Rust felt the city leaders had not taken his suggestions seriously and were not making efforts to remedy the problems. Some issues had been tabled for over three years. So, at a city council meeting in January, 1986, he resigned as fire chief. After a lengthy meeting the council admitted to a communication breakdown and felt the differences could be worked out. Rust was asked to reconsider and after the meeting he agreed to stay on as chief. Chief Rust realized the future of the department would depend on attracting young volunteers. In 1992 he got approval to start a Junior Fire Fighter Program. Recruits 16 to 18 years old receive thorough training and without placing them in harms way they provide support to the fireman at the scene. One of his protégés, Robbie Smith, went on to become a professional firefighter and was recently featured in Fire Apparatus magazine. Accomplishments under the leadership of Don Rust include: Construction of a new fire station which includes five bays, office, kitchenette/meeting room, and storage area. Additionally there are hose drying racks, a washing machine, and equipment to refill air packs; Replaced a 1950 Ford truck with a 1994 Freightliner demo truck from Precision Fire Apparatus: Replaced the Texas County Rescue vehicle with a heavy duty International style ambulance better suited for the transport of equipment and personnel. In 2006 voters approved an 1/8 cent sales tax which allowed the purchase of a new fully equipped, Pierce Quint ladder truck which includes a CAFS foam system. Former Houston firefighter, Robbie Smith, brokered the deal through Schumacher Fire Equipment. In addition to station and vehicles most of the auxiliary equipment such as air packs, bunker gear, tools, and training have been greatly upgraded. When Rust first became chief, Houston had an ISO insurance rating of 8. In 1987 it went from 7 to 6. In 2007, primarily because of the department’s efforts, Houston received an ISO 4 rating, narrowly missing a level 3. Don Rust has sat on various boards and committees and served his community in various ways. Among them include County Civil Defense Director, serving on the Houston Planning and Zoning Commission, Supervised the Texas County Rescue, and was toss ball coach when his sons were young. In 2007 he received the U.S. Presidential Service Award that recognizes volunteerism in the fire service. Don married the former Janet Haney in 1975. They are the parents of two sons, Darren and David. Both followed in their dad’s footsteps and have served as firefighters. So what is Don Rust going to do with the rest of his life? He will still have a part in the City of Houston Fire Department as he has agreed to stay on the roster to help out if needed. He still operates the family business, Rust Excavating, which he established in the mid seventies. And he will continue to assist the public with their plumbing, heating, and cooling needs at his father’s business, Rust Utility Shop. Don Rust, you have served your community well and we thank you. All of the fireman from Houston and throughout Region G wish you the best.